The US said it would give Ireland a “tentative B” for its 2004 presidency of the European Union. IRELAND’S CURRENT PRESIDENCY of the European Union is being hailed as a massive opportunity for the periphery economy to make its mark on the continent. But how did the nation do last time around? According to the US, we scored a “tentative B” for the 2004 presidency of the EU. In a cable released by Wikileaks, the US embassy in Brussels told the White House that the Irish were “reactively helpful honest brokers” on most issues of concern to America, including the war on terrorism, the Balkans and a common asylum policy. The Bush administration also praised Ireland for its role in counter-terrorism following the 11 March Madrid train bombing, something it described as a “significant achievement for a presidency with so little bureaucratic capacity for dealing with such a complex and sensitive policy area”. However, Ambassador Foster said the country “pushed its own agenda on the mid-East and Africa even if this means isolating the US”. He also believed Ireland was not “particularly forthright in tipping [US government] off about potential problems”. Even though the Irish are a small country Presidency with a very stretched Brussels presence, they have been attentive to transatlantic relations. According to the “home-stretch” report document, which was originally classified as ‘Secret/Not for Foreign Dissemination’, the Irish were “quite good” about ensuring US views were considered at EU level. The embassy was less impressed with Ireland’s stance on the 6 May Palestinian UNGA resolution on the status of the occupied Palestinian territory. “The Irish cut a deal with the Palestinians, railroaded some member states (eg the Netherlands) with an end result that isolated the US,” reads the cable. “While we can appreciate that the Irish have not picked transatlantic fights over the Mid-East, they (and most other members) have been hesitant to embrace a Greater Mid-East Initiative too warmly. According to European counterparts, Ireland also compared favourably with the more “erratic” Italian presidency. “The Irish have been relatively successful at being a good ‘European’ presidency. In particular, the Irish worked quite hard to ‘celebrate’ EU enlargement, and have tried to move the EU constitutional process forward – despite deep member-state disagreements. As a result, as the Irish seek to exercise their ‘political will’ to move US/EU summit deliverables through the EU political process, they should be in a better position to deliver than the Italian Presidency,” the commentary concluded. 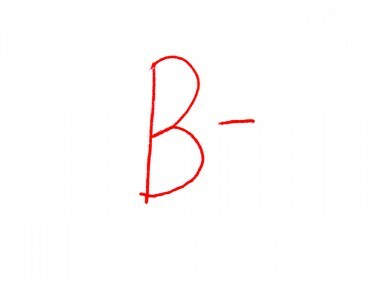 Email “Ireland got a ‘B’ grade for its last European presidency”. Feedback on “Ireland got a ‘B’ grade for its last European presidency”.